The lovely comb measures about 3-3/4 inches in width. Design measures approximately 1 inch in height. 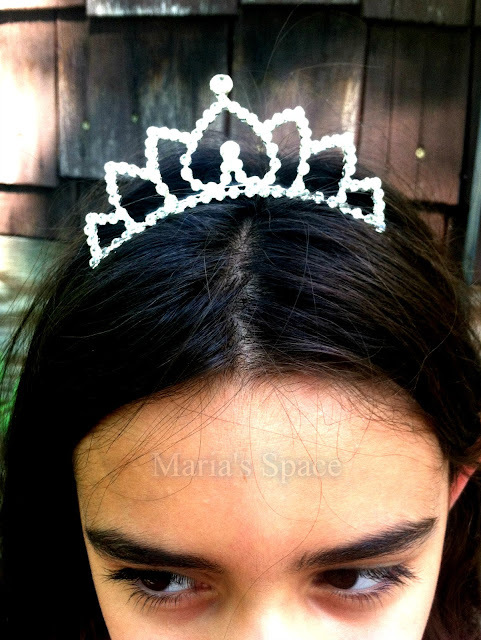 A single centered silver plated metal comb to secure the headpiece in place. 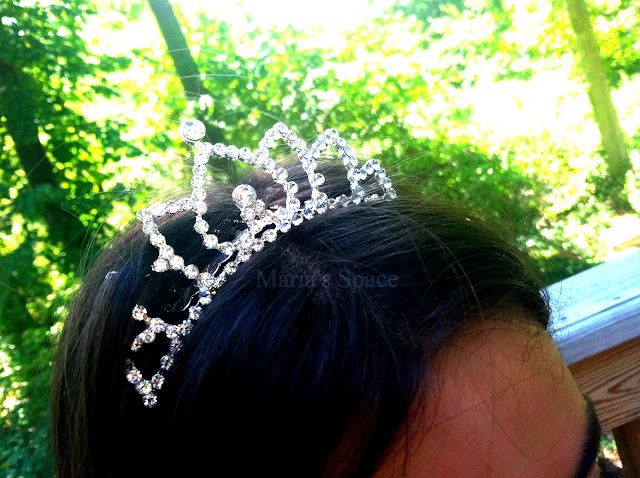 We LOVE our tiara. It is stunning and way better than I could have imagined. 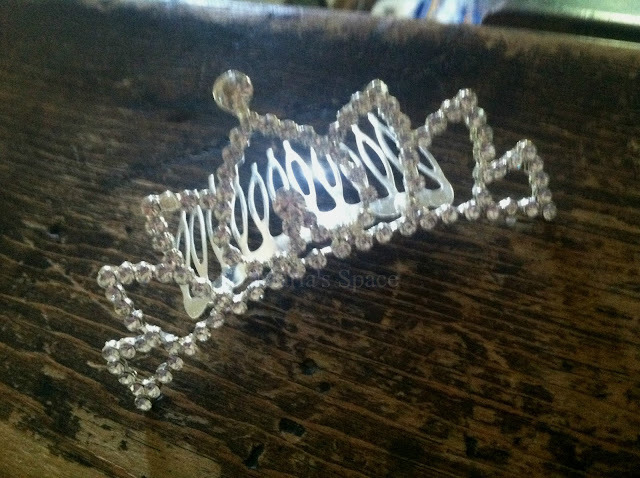 More beautiful in person this stunning tiara comb is nothing like I expected. My daughter used to have tons of fake tiaras to wear for dress up. We had so many I had to make a stand for them. They were always nice to look at but so light and broke after one or two days. 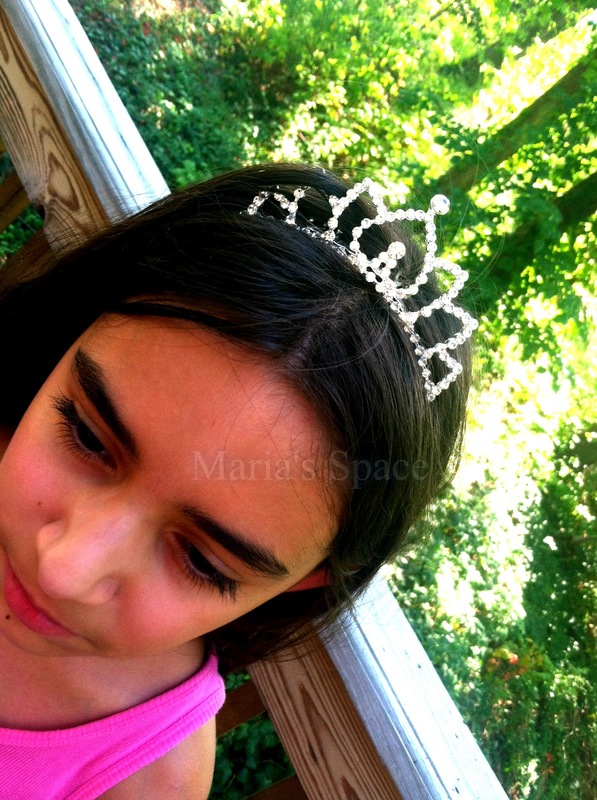 This Flower Girl Bridesmaid Tiara Comb by Heart To Heart is nothing like that. 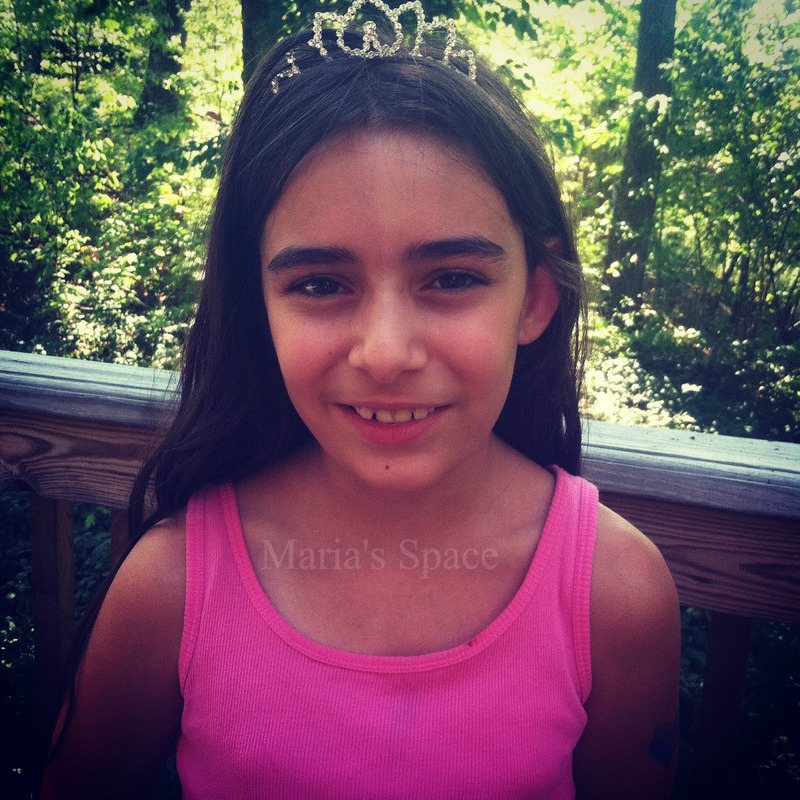 My daughter and I have both worn it. It is on a comb which easily slides into the hair and stays in place. We take turns wearing it. I work at an elementary school and the little girls love when I wear it. With the temps being so high I wear my hair up and put the comb right in front of my bun. They LOVE It and all want to try it on. The price is so reasonable, under $10! Crazy. It's heavier than it looks. Much studier than many others I have had. The gems sparkle in the sun and NONE have fallen out even though we wear it everyday! I love the way Goddess looks in it! Disclaimer: I received a product at a deep discount for my honest opinion. No monetary compensation was offered.